C.L. Fornari is a creative gardening expert (aka plant geek) who transitioned from artist to garden communicator in 1995. She is the author seven books including her latest, The Cocktail Hour Garden, published by St. Lynn’s Press. C.L. is the host GardenLine, heard on WXTK, and co-host of Plantrama, a podcast produced by Zachos and Fornari. 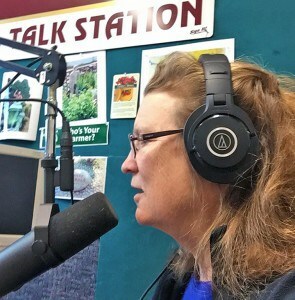 She speaks to audiences at horticultural trade shows, garden clubs, botanical gardens, master gardener symposiums, alumni/women’s groups and neighborhood associations. In addition to speaking, radio, and writing, C.L. blogs and runs a consultation service for Hyannis Country Garden, an independent garden center on Cape Cod. In 2017 her book The Cocktail Hour Garden won awards from ASJA and GWA. She also won a GWA award in 2017 for writing on her website. In 2012 C.L. was awarded the Garden Communicator Of The Year from the Perennial Plant Association and in 2013 won three awards from the Garden Writers Association. In 2015 C.L. 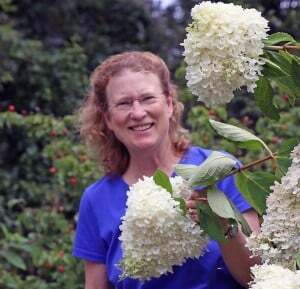 launched the first annual Cape Cod Hydrangea Festival, a ten-day regional celebration of open gardens. In its third year, 2017, the Hydrangea Festival raised over $43,000.00 for local non-profits. C.L. loves children, cooking, and dogs. 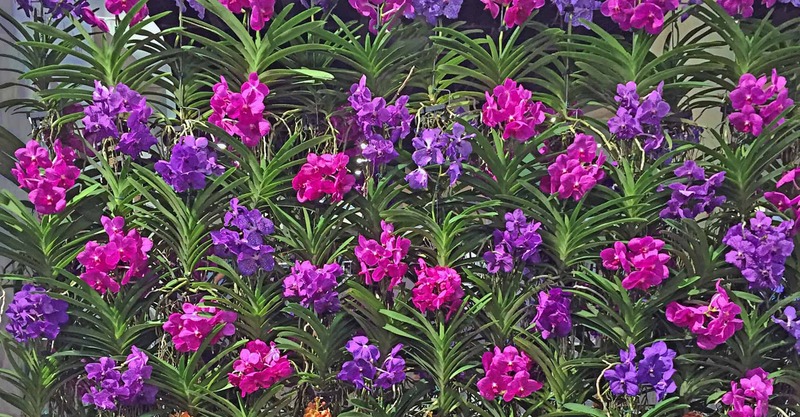 She says that you can never go wrong with the color purple, and her not-so-secret mission is to cultivate the gardening revival in the USA. In the meantime, she grows multitudes of plants on Poison Ivy Acres on Cape Cod. Need additional information? Here is a more detailed bio. C.L. 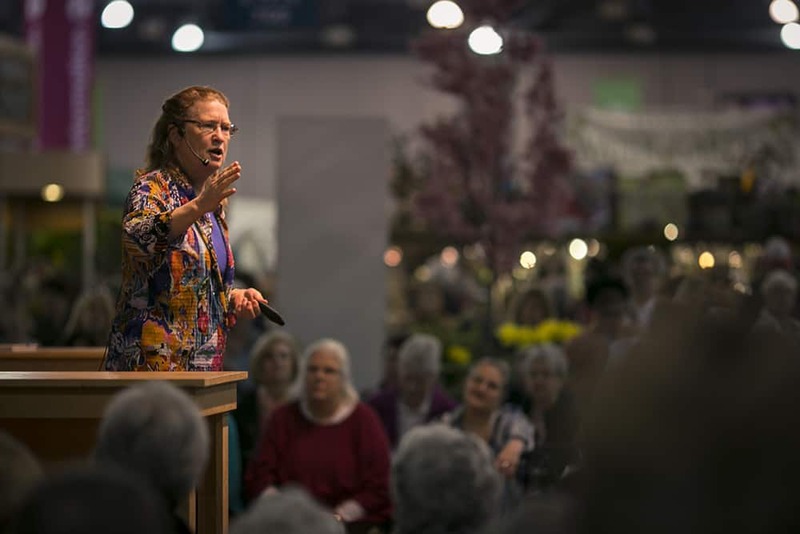 Fornari has given lectures and classes at the New York Horticultural Society, NYC, and the Massachusetts Horticultural Society, Boston, MA, and at spring flower shows nationwide. CL has presented talks for gardening professionals at New England Grows, The Rhode Island Nursery and Landscaping Association, Landscape Ontario, and several Master Gardener Symposiums. Author of: The Cocktail Hour Garden, and Coffee for Roses, published by St. Lynn’s Press; A Garden Lover’s Martha’s Vineyard and A Garden Lover’s Cape Cod, published by Commonwealth Editions; The Cape Cod Garden and Your Garden Shouldn’t Make You Crazy , published by Parnassus Imprints; Gardening in Sandy Soils, published by Storey Publications; and A Garden Wedding published by Paraphyses Press. For many years she was a monthly columnist for Prime Time Magazine, published by The Cape Cod Times and for Angie’s List Magazine. C.L.’s gardening articles have appeared in a variety of publications including: Fine Gardening, Country Gardens Magazine, Coastal Home, The Traditional Gardener, Cape Cod Life, Cape Cod Home, The Barnstable Patriot, American Nurseryman Magazine, and bostongardens.com. Photos published in American Nurseryman Magazine, Coastal Home, Prime Time Magazine, Cape Cod Life, Cape Cod Home. Book photography: The Cocktail Hour Garden, and Coffee for Roses, published by St. Lynn’s Press and A Garden Lover’s Cape Cod, published by Commonwealth Editions 2007 and A Garden Lover’s Martha’s Vineyard published by Commonwealth Editions 2008. Fornari is currently the host of GardenLine – a call-in talk-radio program on WXTK 95.1FM every Saturday morning starting at 8 AM, and co-host of Plantrama, a podcast with Ellen Zachos, which is found at www.Plantrama.com. She has been heard on NPR’s Morning Edition, hosted by Linda Wertheimer, July 6th 2014, and was a contributor to The Cultivated Gardener, an hour-long gardening program broadcast on NPR stations nation-wide, from Oct. 1999 – Sept. 2000. C.L. is a frequent guest on other podcasts and live radio programs. Fornari is a free-lance garden consultant providing help with garden design, problem-solving, plant selection, and insect and disease concerns. Focus on low-maintenance landscaping and least-toxic solutions to problems. She runs the consultation service, blogs and presents educational programs at Hyannis Country Garden, an independent garden center on Cape Cod. Life-long grower of flowers, vegetables, shrubs and trees (i.e. Out-of-Control Plant Person) and volunteer master gardener with the Barnstable Cooperative Extension Service since 1994. 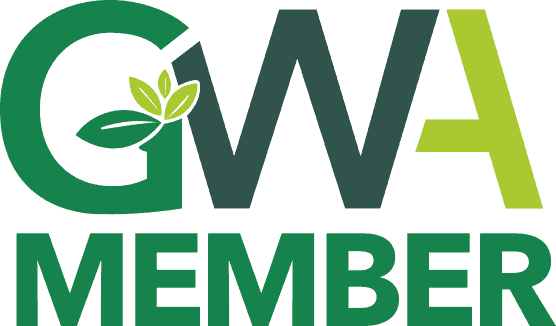 ASJA, Perennial Plant Association, OFA, MNLA, GWA: The Association of Garden Communicators, and a Professional member of The National Speakers Association.